This challenge I wanted to share a photo that I enjoyed utilizing the image manipulation softwares on my iPad. 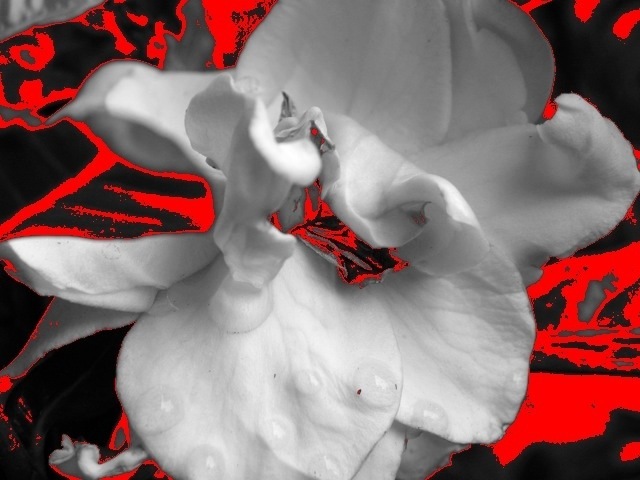 This is a blooming gardenia melded with some red in the color scheme with the black & white. This entry was posted in Challenges, Weekly Photo Challenge and tagged flower, flowers, Found Round and about, gardenia, Growth, photography, red, tisha clinkenbeard photography, Weekly Photo Challenge. Bookmark the permalink.